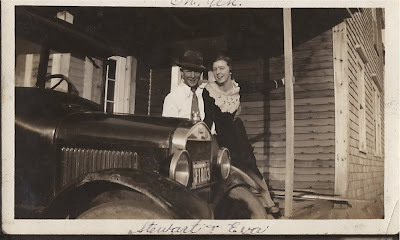 I know that you don't come to this blog to hear about my family history, although that's what I've been going on about lately. This is supposed to be a blog about a New Englander coming to New Mexico. 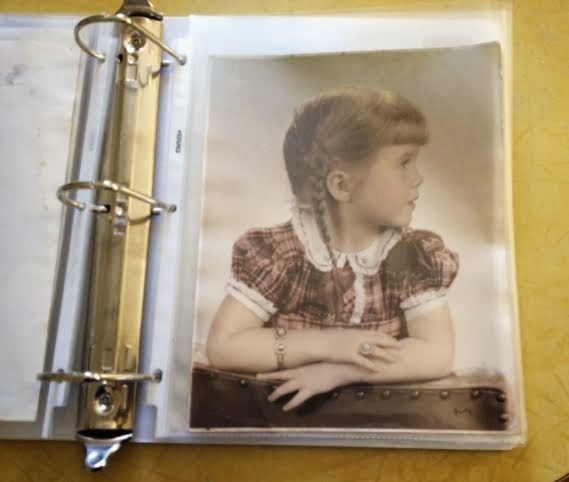 However, I am deep into the search for clues to my family's past and for the next little while I will be toiling away on family trees, telling family stories, and posting about the process of searching for ancestors over on the Remember blog. I cordially invite you to come along on my journey into the past. In the meantime, please check back here on The Zees Go West, because there will surely be posts here from time to time. I hope that you all will have the happiest of holiday seasons--Merry! Happy! Joyous! As I mentioned in the last post, I have a large collection of family history "stuff"--photos, files of information about families and individuals, written and email correspondence about our history and our stories--just lots and lots of stuff. Determined to share what I have with my family, back in 2010 I started a family history blog called Remember. At first, I just pulled out photos at random and wrote about them. I liked the result, but I could see that I was going to have to change my approach so that the results were more cohesive and organized and that each family was clearly delineated. There's that organized word again. I thought that I might begin by sorting and labeling photos, a job that soon had me feeling overwhelmed all over again. I could still see those boxes of files of papers out of the corner of my eye. I wanted to go through everything once and have something to show for my efforts. After a lot of thought, I finally came up with an approach that works for me. I hope that it might be of help (or an inspiration) for someone out there who is trying to organize their own family history chaos. I'll put the materials needed in bold type. 1. Get some great big binders and label each with a family name. 2. Sort everything--papers, correspondence, photos--by family group. and put the materials with, not in each binder. Don't fasten anything in yet, this is a rough sort. 3. Get some dividers (this is so much fun if you, like me, like to shop for office supplies). 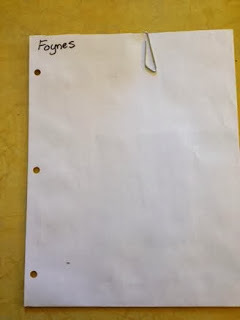 Label them for individuals within the family, and start inserting everything into the binder in the order that pleases you. Punch holes in copies only. Original documents (like birth certificates) go into individual heavyweight non-acid sheet protectors. 4. Large photos can also go into sheet protectors. I heaved a sigh of relief when this step was done, because I knew these irreplaceable photos were safe at last. They can be scanned without any further handling. 5. Smaller photos can go into a large envelope (for now) labeled with the family name. Seal the envelope, cut off one end so it will go into the binder sideways, then punch holes into the edge of the envelope, being careful not to harm any photos, so it can be filed in the binder with the appropriate family. You can place a paper clip on the open end to keep photos from sliding out. Of course, after this step you will find a nice book or website about archival handling of photos and follow the directions to store these small photos properly. For me, having them safely in an envelope was better than loose in a box. One step at a time. Now that I could see what information I had for each family, I wanted to put up some family trees on the Remember blog--my mother's, my father's, my husband's mother's, and my husband's father's, and one for my son's ancestors, since he comes from my former marriage to a Dutchman. Then, when I blogged about each individual I could start with a family tree to locate that person in the family. While looking around for family tree templates, I found the perfect way to display my information by using the website WikiTree. WikiTree allows me to enter and save information about each person, link families together on a family tree, and add to any of my records when I have more information. Better still, they have "tree widgets" for my blog which will reflect any changes I make to any of my records on WikiTree. I also like how WikiTree will let me set privacy levels, and even allow trusted family members (or distant relatives) to make changes and additions to my records, but only if I want them to do so. So, that's how I got things organized. Next time, I'll tell you about a few surprises I came across while learning about our family's history. For now, take a look at the beginning of my father's family tree. He is the mystery man in the family, so I really get excited when I find out any little thing about his ancestors.